Georges Irat was a car company founded by, guess who, Georges Irat. He started out building engines but turned to full automobile production in 1921. Production continued up to the outbreak of the war and after the war they introduced a few prototypes but they never entered production. They closed their doors in 1953. 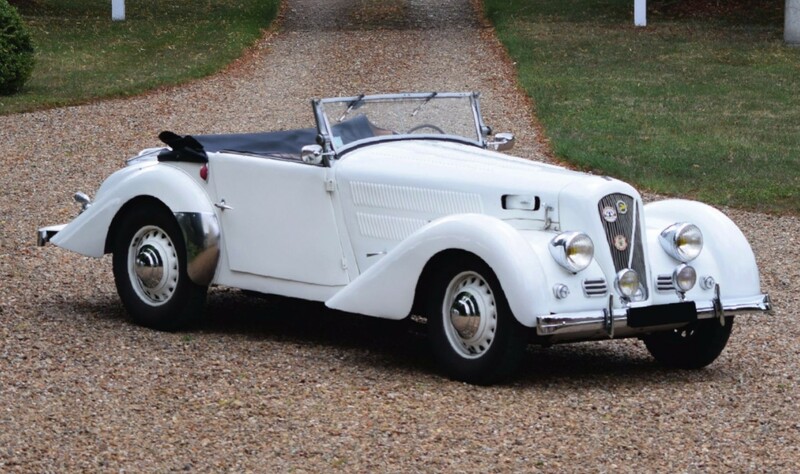 One of the company’s more popular pre-war models was the sporty Roadster. It was powered by a Ruby 1.1-liter straight-four, an engine produced by the company’s new corporate overload, Godefroy et Leveque. Right before production ended, a larger engine became available. About 1,500 of these 6CV rated cars were produced between 1935 and 1939. 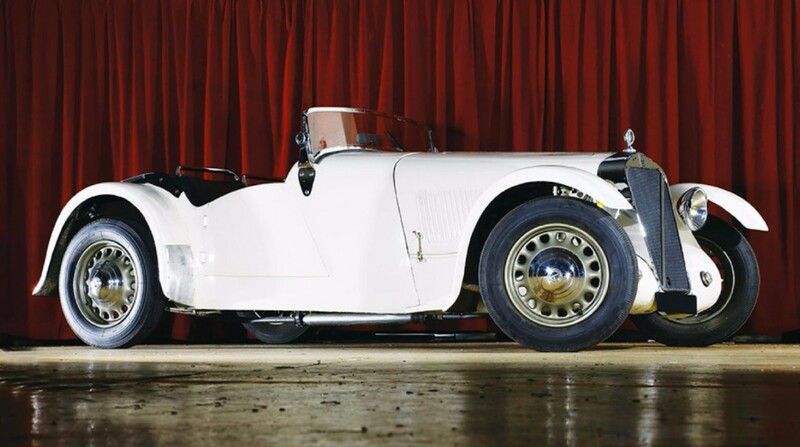 This sporty, rare, front-wheel drive French Roadster was restored in 1998 and should bring between $21,000-$31,000. Click here for more info and here for more from this sale. This car, which looks like a toy, was built by Georges Irat, a company that sold its first car in 1921. They built less than a thousand cars up until World War Two broke out. During the war they turned to electric cars but never got very far. After the war, Georges Irat wanted to get back into auto production. They showed a prototype in 1946 and another in 1949. This is that second car. It was powered by a 2.0-liter straight-four. 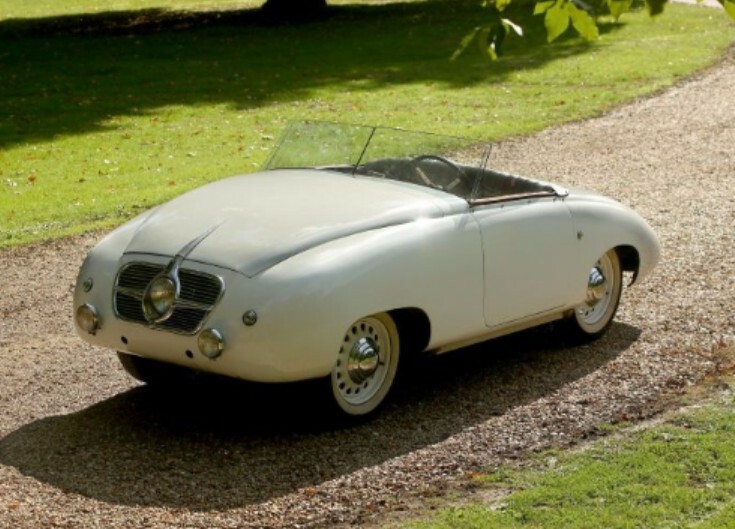 The body was designed by coachbuilder Labourdette. After the 1949 auto show, production never resumed, though the company tried building smaller cars in Morocco for a few years. Years later, the body of this car was discovered in the old Georges Irat factory. To make it show-worthy, a chassis from a Simca 8 was thrown under the car, so, you know, they could actually drive it. Pretty – and very unique – this end-of-the-line prototype from little known Georges Irat should bring between $55,000-$110,000. Click here for more info and here for more from this sale.